You are here: Home / Latest News / Design a Reusable Cup for Thomastown! For Halloween 2017, TCN organised an event called Pumpkins in the Park where people were offered a free hot chocolate drink if they brought their own reusable cup. During the event we were surprised to find that many people did not realise the important difference between disposable cups and reusable cups. 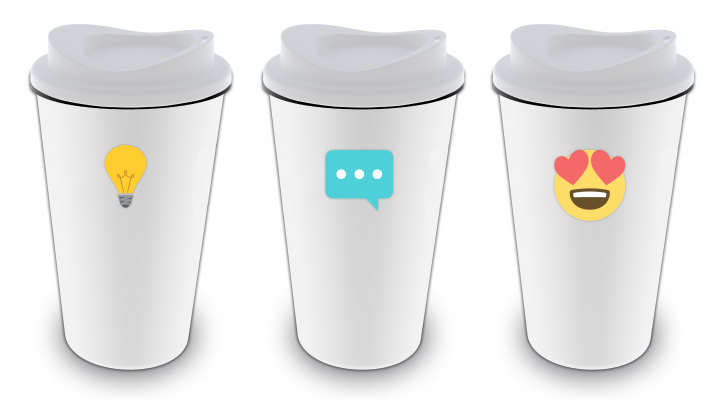 So our new Reusable Cup campaign aims to highlight the fact that disposable cups create a huge amount of unnecessary waste… and that this can be avoided if more people start to bring their own reusable cups for take-away teas and coffees. Several Thomastown cafes are already part of the national Conscious Cup Campaign and we soon hope to see the whole town signed up. So what are you waiting for? 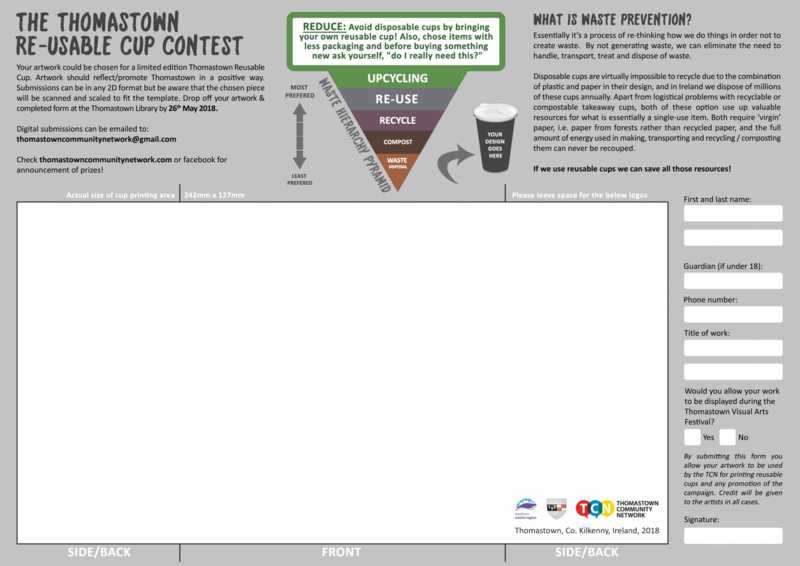 Enter now… your artwork could adorn Thomastown’s very own official reusable cup! Completed artwork can be dropped off at Thomastown Library, or digital entries can be emailed to thomastowncommunitynetwork@gmail.com. Deadline for entries is Saturday 26th May, 2018. Funding for this pilot project has been made available through the Kilkenny County Council Waste Prevention Programme.